This is the most delicious prime rib roast you will ever have! That said, you can’t leave out a step. The right roast makes a big difference. The 3 days of dry aging? Imperative. The seasoning? Don’t skip or add anything! Most of all, check your oven’s temperature with a thermometer days in advance to be sure that it the oven is accurate. Lots of ovens are not accurate. It is a MUST. Good luck! 1 6-7 lb. Prime Rib Roast (no bones) preferably from the loin end. Look for it to be well marbled with fat throughout the meat. I use Costco’s Prime Rib Roast. This is the most important step! “Aging” is a natural way to breakdown the chewy fibers and muscle that may be in the meat. Aging is simple: Remove any plastic wrapping or butcher’s paper from the roast. Place the standing rib roast upright onto a half sheet pan fitted with a rack. (A “broiler pan” works fine.) The rack is essential. Place dry paper towels on top of the roast to help to draw moisture away from the meat. Place in a refrigerator at approximately 50 to 60 percent humidity and between 34 and 38 degrees F. (measure with a refrigerator thermometer.) Change the towels daily for 3 days days. The meat will become dark and dry on the 3rd day. You’ll notice the difference! Gently slice 1/2” deep lines across the entire roast creating a “diamond pattern” (approximately 1-1/2” inches apart). Do this on all sides and on the ends. Rub the roast down with oil on all sides. Then rub the seasoning mixture all over the roast and INTO the slits. This rub should be plentiful and thick all around the roast and into the slits. Important: Once seasoned let the roast sit out on the broiler pan or rack for 2-3 hours prior to putting it in the oven. Meat should always be room temperature before cooking. Preheat the oven to 250 degrees. Make sure the oven is at 250 degrees prior to putting the roast in the oven. On a deep cookie sheet or in a large roasting pan, spread out the carrots and onions to about the size of your roast. Set the roast ON the carrots and onions with the FAT SIDE OF THE ROAST UP. Add 2 cups of water into the pan. Place a GOOD meat thermometer into the the thickest part of the roast. Place the pan with the roast into the oven with the dial of the thermometer facing the oven’s window so you can see it without having to open the oven. Close the oven and immediately reduce the temperature to 200 degrees. My 6.12 lb. roast (weight prior to aging) took approximately 3 hours to cook up to 120 degrees internal temperature. I recommend an electronic meat thermometer with an external probe reader. The probe goes in the meat and the probe is attached to a cord that comes out of your oven and sits on top of your oven. It can be set to “beep’ when the roast reaches 120 degrees internally. Let the roast “rest” like this for 15 minutes. While the roast is “resting”, turn up the oven to 500 degrees. Drain the liquid from the pan into a frying pan. You’ll be making the au jus once your return the roast to the oven. Au Jus: This is NOT traditional, but it works! Into the roast pan’s drippings that you’ve poured into the frying pan, crinkle the sage leaves in your hands and then add it (or the crushed sage) to the liquid. Bring to a boil on the stove. Whisk in the flour slowly. Turn down the heat to medium-low and constantly stir for about 5 minutes. Slowly add in the beef bouillon (or beef stock) and the red wine. Keep stirring. Crack in some black pepper. Put into a gravy boat for guests to “add their own”. Now that the roast has been at 500 degrees pull it from the oven. (Careful!) Move the roast to a cutting board (I put my cutting board into a larger baking pan to catch the juices.) Carefully remove the meat thermometer (juice may spurt out). Carefully cut your roast into whatever thickness you’d like! Serve with creamy horseradish on the side and your au jus. We like a salad, potato (mashed garlic or baked) and brussels sprouts with our prime rib. Try making easy “popovers” to serve with this too! It’s a “bread” that is perfect for sopping up the juices from the prime rib. Leftovers? Eat the meat cold on Hawaiian King rolls with horseradish or some cold au ju OR on english muffins instead of Canadian bacon for Eggs Benedict. Good luck! Try this exactly as described. The mint with the cucumbers and the watermelon with the red pepper flakes that took me by surprise. Really, this is awesome…You and your guests will be HOOKED on this wonderful summer side dish! • Whisk the first four ingredients together until sugar dissolves. • Add the rest of the ingredients, toss and coat. Rich, wonderful and popping with flavor… this potato recipe has been our family favorite for decades! When we have a family gathering all of the nephews and nieces beg my wife to make this. 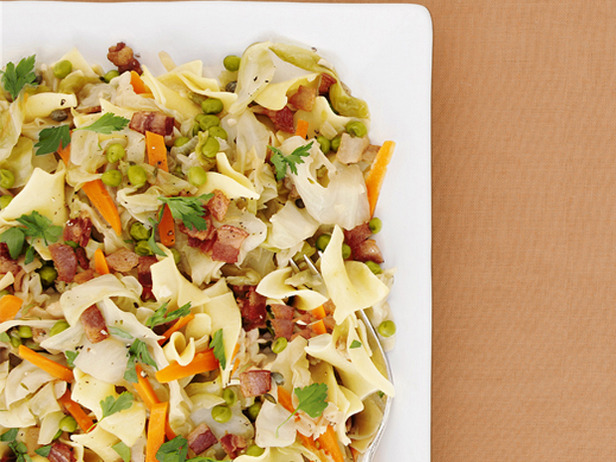 The green olives and bacon make this recipe an absolute standout. Remove skins from cooked potatoes and cut into large cubes. Pour into greased casserole dish (Square and deep is best!). Bake uncovered at 325 for 1 hour. As good as a cook as I am (yes, still humble) I was always afraid of cooking fish. Why? Who knows! But I’ve learned that its really easy and, if you cook it my way, it can be REALLY fattening and wonderful! So, with that in mind, you simply cannot go wrong with this WONDERFUL and easy fish entree. Angela and I like this served with rice and broccoli or asparagus on the side. Make a batch of garlic bread too! We hope you like this as much as we do. Rinse skinned filets and pat dry with paper towels. Sprinkle both sides lightly with Cajun seasoning and lemon pepper. Heat cast iron or non-stick skillet on medium-high until HOT THEN add olive oil and then butter. Place filets in hot skillet. Sear fish several minutes per side until light brown and easily flaked in the thickest parts. Drain Rotel and mix it with Alfredo sauce. Pour this over filets once they are mostly cooked. Decrease heat and cook several minutes until sauce begins to brown at edges. Remove from heat and cover. Let rest (sit in pan) for 5 minutes. Yields: 4 servings. To serve, lay fish and sauce over rice. The sauce is excellent in the rice, and you sop up any excess with the bread!